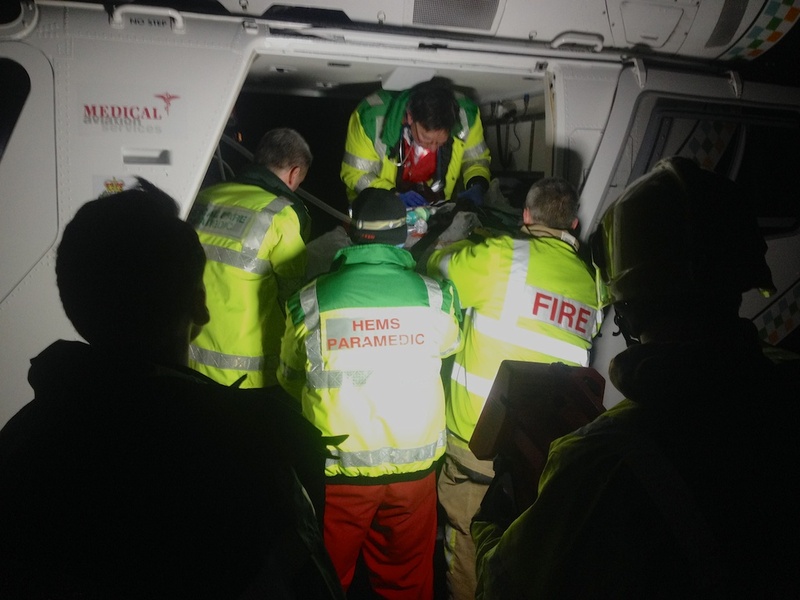 A man was flown to hospital in London after a collision in Pevensey Bay High street at a round 19.25 on Sunday 2nd February 2014. The car in which he was travelling rolled onto its roof and he was removed by the Fire and Rescue Service. Medical treatment was provided by Dr.
Pearce from SIMCAS and members of the ambulance service and later joined by the crew of the Surrey and Sussex air Ambulance. The road was closed whilstPolice crash investigators assessed the scene.